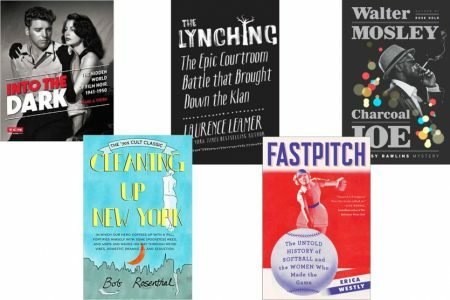 Check back every Wednesday and see what we’re reading for the week! Walter Mosley’s indelible detective Easy Rawlins is back, with a new detective agency and a new mystery to solve. L ife rarely goes smoothly for Ezekial “Easy” Rawlins. Chaos, racism and tragedy are part of the package of being a fictional African-American private detective in post-war Los Angeles. 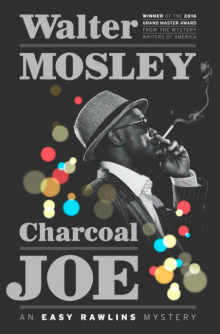 beginning in 1990 with “Devil in a Blue Dress.” The series starts in the Forties, but in the latest installment, “Charcoal Joe,” Mosley has brought his signature character up to 1968. Mosley will appear in conversation with T. Geronimo Johnson, author of “Welcome to Braggsville,” at Kepler’s Books on June 16. The event is in partnership with 100 Black Men of the Bay Area and the NORCAL branch of Mystery Writers of America (MWA). 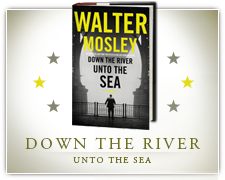 The author of 50 books, Mosley is a native of Los Angeles and resides in New York. In April, he was designated a Grand Master by the MWA, the first writer of color to be so recognized since the award was established in 1955. Reached by phone in Los Angeles and asked about what accounts for Rawlins’ enduring appeal, Mosley paused before answering. 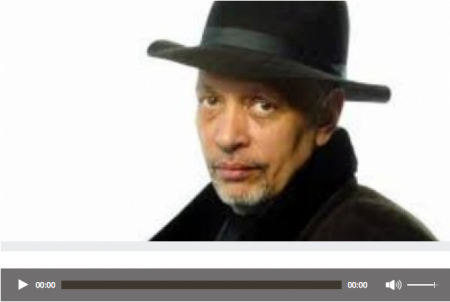 Walter Mosley, 64, is the author of 50 books, including his latest Easy Rawlins mystery, “Charcoal Joe” (Doubleday). 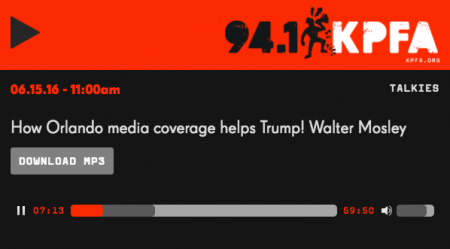 He spoke with Marc Myers. At Margaret’s house in South Central L.A., the television was always on. When I quit running around, I’d sit on the floor to watch. Ford had his own TV variety show on NBC every Thursday. Even as a kid, I found him captivating. 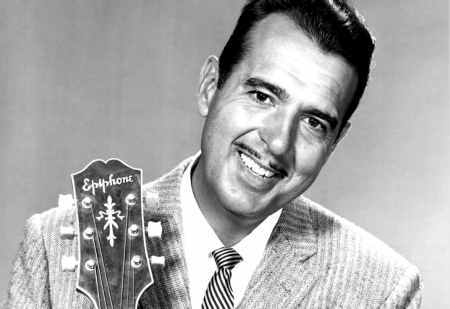 A white singer, Ford was relaxed and spoke like a congenial good ol’ boy. You could hear the South in his deep voice. Everybody I was around was originally from the South, so Ford’s sound was familiar and comforting. After I heard him sing “Sixteen Tons” on TV, I couldn’t shake it. Many people have the same reaction. I think it’s Ford’s snapping on the second and fourth beats and his delivery, as if he had personally experienced the lyrics. Two thousand sixteen marks the 100-year anniversary of my father, Leroy Mosley’s, birth. He was and is my inspiration, the man who taught me to bob and weave in life and art. I came into being shaped by the stories about his childhood in Louisiana and the grinding poverty he endured there, the bloodletting and laughter in the Fifth Ward in Houston and the harsh enlightenment he received in the Army. My father was born in the middle of one world war and served in the next, but his true battles, like those of so many African-Americans, were fought closer to home. Rural life in southern Louisiana was a threnody of destitution and racial oppression. But Leroy and his two half sisters were protected and fed by family that loved them and strangers who understood their pain. In the Old South, subjugation brought out the generosity in many of those persecuted, and black folk were masters of making something from nothing, be it that day’s jambalaya or a suit of clothes stitched together from rags. 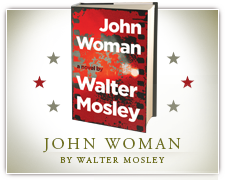 Leroy named me for a ghost, a fiction — after his father, who had committed a mysterious and terrible crime back in Tennessee and went by the alias Walter Mosley. Walter was a logger and would leave for weeks at a time, working on crews hewing trees and floating them downriver to New Orleans. The boy was close to his mother, the fount of warmth in the home. She died when he was only 7, and shortly after, Walter went to work one day and never returned. Leroy’s half sisters were shuffled off to their blood mother’s relatives, and he was left to live with cousins who mistreated him. At 8 years old he jumped a freight train headed for Houston, where his mother’s father was purported to live. The two didn’t get along. Leroy was permitted to sleep on the porch, but he had to find his own food and money. He grew up quickly in the Fifth Ward, learning to carry two guns and one razor at all times. He could fight hard and run fast, cook and sew, clean, do carpentry and fix any engine. He learned to type and write, and he was a masterful storyteller. But that’s not unusual for poor people living under the thumb of history: My Jewish relatives from Eastern Europe were no different; they’d sit up all night regaling one another with the horrors they had survived. It was Leroy’s dream to write for the popular pulp magazines. He even sent a cowboy story to a magazine — only to see it published a year later, under someone else’s name. He gave up. It was not possible, he concluded, for an impoverished black man in the Deep South to become a writer at that time. It’s hardly easier now. My father’s life intersected with a century of conflict, horror and invention. He deciphered these histories for me, making me his scribe in a new century. My successes were his successes, and his stories thrum in every word I write. He taught me to see like a writer, to be attentive to the stories that spring up everywhere: the epileptic guy on the corner medicating his condition with wine; the man lamenting his cheating wife; a woman passing by, sheltering a child in her arms; to say nothing of his own tales — Leroy came to own three apartment buildings, but his tenants assumed he was the handyman. It’s an attentiveness to the world, to ordinary suffering, to the love that persists in its midst. 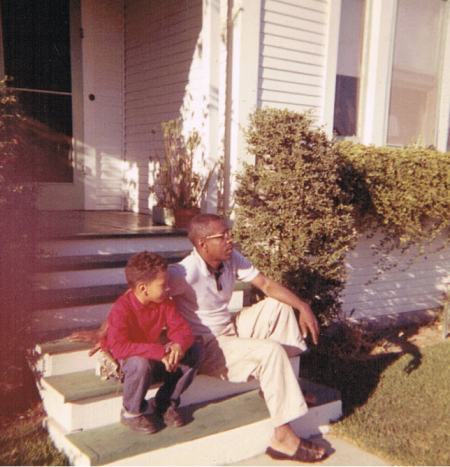 My sense of the world, of history and humanity flows from this awareness — and the attendant grim humor — my father used as his guiding lamp in the darkness cast by racism and poverty. He was riddled with cancer the last few times I saw him. On one such day, my mother and I were leaving the house in her car. My father, who we were told was too sick to stand, had somehow made it to the back porch. As we drove off, I saw him leaning heavily against the banister. But when we made eye contact, he suddenly smiled and lifted his hand. This was his gift to me: an indomitable spirit and the talent of taking the beauty and refusing the rest. 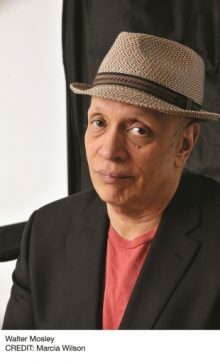 Walter Mosley is the author of more than 50 books, including the Easy Rawlins mystery series, and the recipient of PEN America’s Lifetime Achievement Award. His most recent novel, “Charcoal Joe,” was just published. A version of this article appears in print on June 19, 2016, on page BR25 of the Sunday Book Review with the headline: Finishing His Sentences. Walter Mosley’s private investigator Easy Rawlins has been around for nearly three decades now. Readers first met him in “Devil in a Blue Dress” when he agrees to find a missing person. The task that begins as a lark proves an inspiration to the recent World War II veteran that he may have found a suitable occupation. He takes to the streets of Los Angeles in the early 1940s and feels his way to an unexpected career. 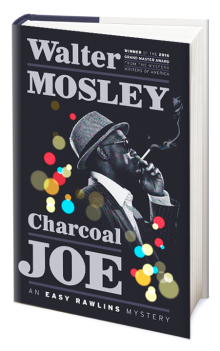 Mr. Mosley’s 14th Easy Rawlins mystery, “Charcoal Joe,” shows just how far the character has come since that first case. With money he garnered from his last case, “Rose Gold” (2014), he has started his own private investigation agency, complete with two associates. As he walks to his new office, Easy realizes just what has happened to his life. “I took in a deep breath through my nostrils and smiled, thinking that a poor black man from the deep South like myself was lucky not to be dead and buried, much less a living, breathing independent businessman,” he thinks.